Connecting Youth (CY), is an organization dedicated to creating a safe, healthy environment for young people. We believe success can be achieved only by involving all segments of our communities, including families, schools, businesses, law enforcement, health care professionals, civic groups, and faith institutions. CY's mission is to promote a culture that develops in our youth the power and conviction to make healthy choices. 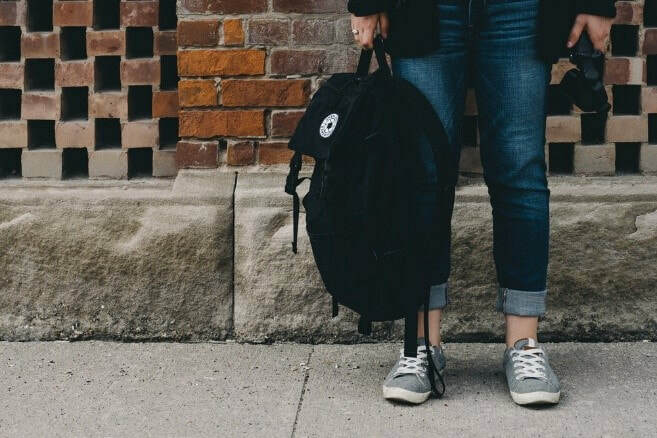 Connecting Youth relies on the support of local schools; local, state and federal grants and the generous support of the local community. Please make a donation today! Go to takebackday.dea.gov to see a list of all disposal locations available in Vermont. Many drop off sites are open YEAR ROUND. Disposal is free and anonymous. Why should you properly dispose of or lock up unused or expired medications? Prescription drugs are often strong medications, which is why they require a prescription in the first place. 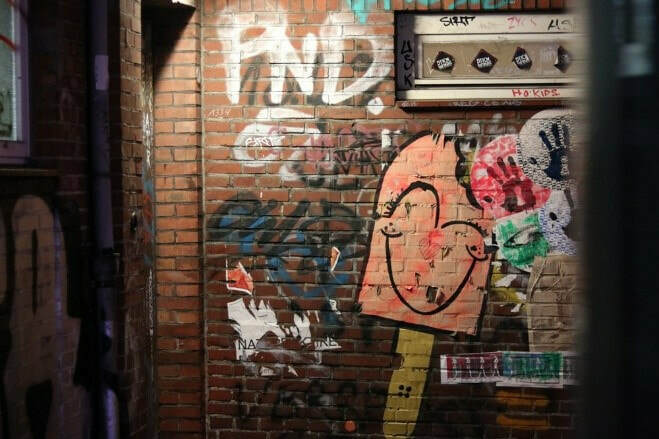 When abused, they can be just as dangerous as drugs that are made illegally. Every medication has some risk for harmful effects, sometimes serious ones. Doctors consider the potential benefits and risks to each patient before prescribing medications and take into account a lot of different factors – such as personal information, form and use of the drug and the side effects. Proper disposal of medication is important in protecting our children, community and the environment from prescription drug misuse. In 2017, 10% of Vermont teens reported taking a pain reliever or stimulant not prescribed to them. So, what can you do to help? 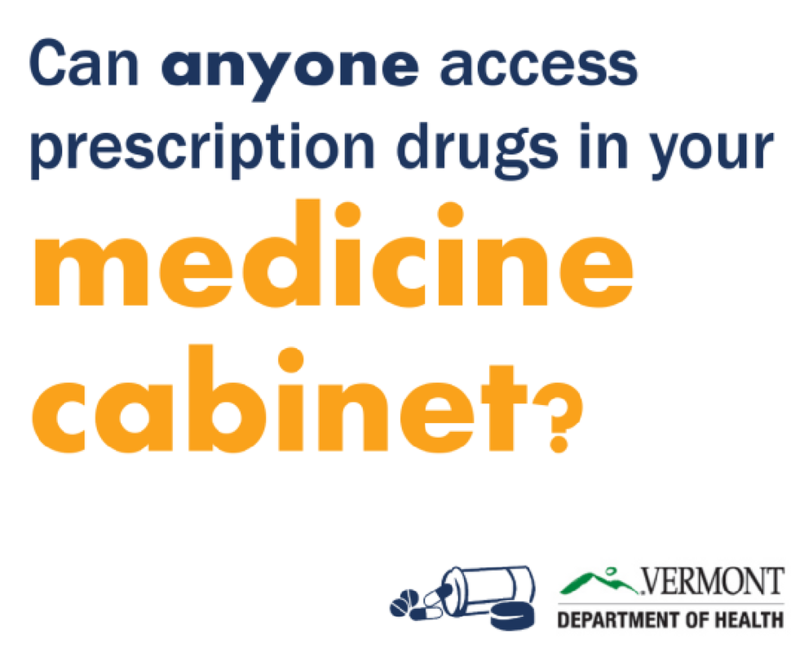 The Vermont Department of Health now offers free medication mail-back envelopes! Click here and scroll down to and click on "Free Prescription Medication Mail-Back Envelopes" to fill out the quick online form to get a mail-back envelope sent right to your home! 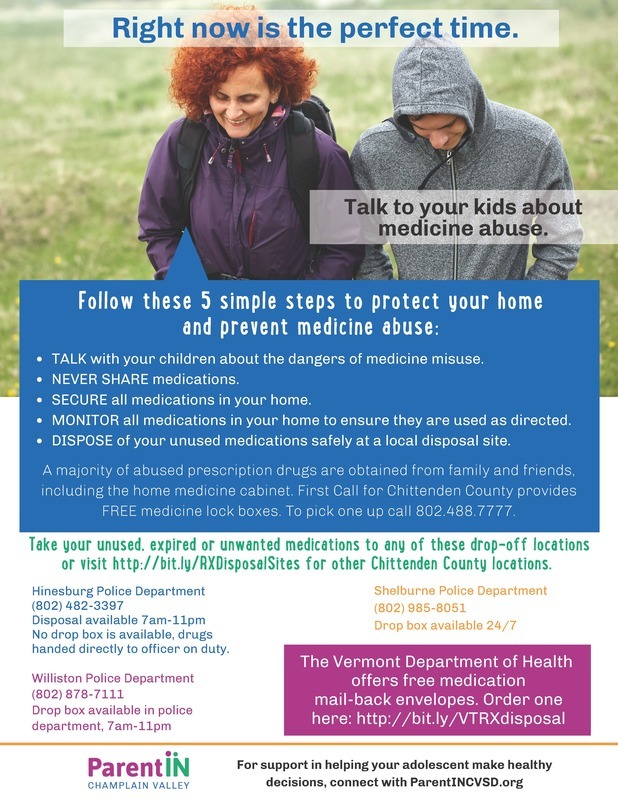 For more information about locations in the county for ongoing medication disposal click here and scroll down for an interactive map of VT disposal sites. You can also dial 2-1-1 for locations. 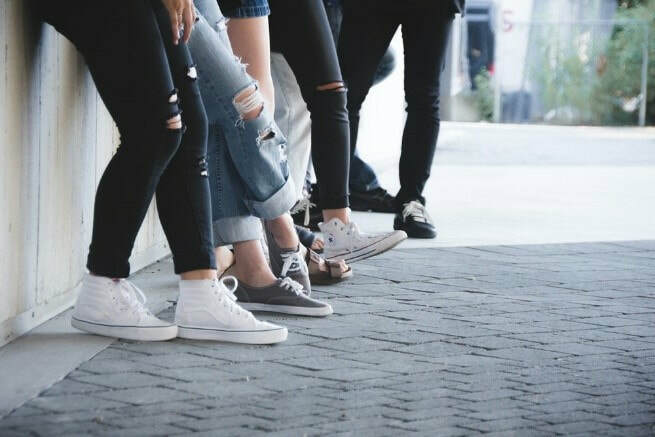 Connecting Youth celebrates the launch of Vermont's Policy and Communication Evaluation (PACE Vermont), a new study to understand the impact of state-level policies and communication campaigns on substance use beliefs and behaviors in young Vermonters. Led by an expert research team from the University of Vermont and the Vermont Department of Health, PACE Vermont will help direct substance use prevention resources where they are needed most. How do young people feel about and use alcohol, tobacco, marijuana or other drugs? What is happening with trending or new and emerging products (for example, JUUL)? What effects do legalized marijuana and other substance use policies/laws have on youth? Are statewide substance use prevention campaigns working? If you choose to drink, model responsible consumption. For men, it takes about an hour for a standard drink to be metabolized in the body. For women it can take longer. Legalization means it's more important than ever to talk to your children. 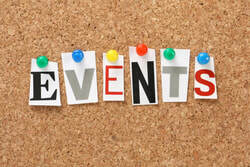 Find out what you should know here. 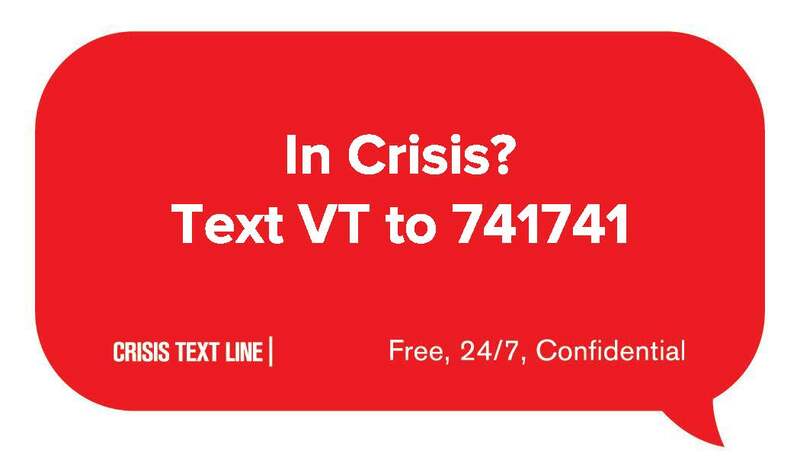 From the VT Suicide Prevention Center:Give HelpThe goals of suicide prevention are to help the person understand that you care, there are alternatives to suicide, they can get safely through the crisis and that you can help them seek available resources. How Should I Respond to Suicidal Behavior?What Can I DO When the Need is URGENT? 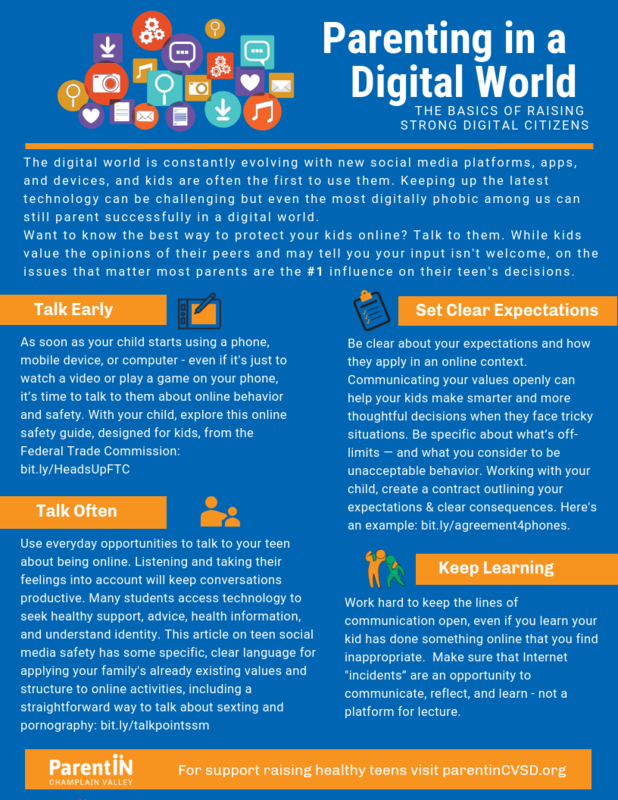 ​You are your kids’ #1 influence. Talk to your kids about the dangers of alcohol and other drugs. Approach securing your prescriptions the same way you would other valuables in your home, like jewerly or cash. Click here to learn more. Why do you choose to live above the influence?